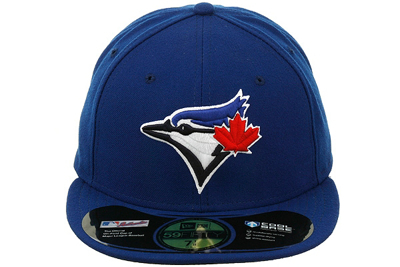 Introducing New Era's Authentic Collection hat for the Toronto Blue Jays This is the official 2012 game hat worn by the Major League Baseball team and was designed with the player in mind. The new performance fabric has revolutionary wicking ability, superior drying, and is shrink resistant. It is a New Era 59Fifty style fitted cap.